Does it make sense to have a non-P&L manager in charge of a top-three business expense at your manufacturing firm? Most CFOs would say, “Of course not!” But, that’s what manufacturing companies are doing every day by giving HR departments carte blanche over the firm’s benefits expense. The operational performance of the benefits plan is a critical role, rightly led by HR experts. But, the strategy behind financing the healthcare supply chain needs to be set by someone at your manufacturing firm with P&L responsibility and expertise. Each year, it’s getting more expensive to run your business. If sales aren’t going up at a rate that exceeds that expense, your company will make less money. When your business doesn’t hit its financial metrics, it only makes sense for the CEO to turn to the CFO, looking for a financial fix. Used to this routine, you have already made every department in the company as efficient as possible —except the benefit plan. Historically, the only place that P&L managers haven’t been able to get their arms around is the benefit plan. Yet, this healthcare supply chain is a top-three expense that goes up every single year and it’s managed by a non-P&L manager. That said, the goal is not to dismiss HR. They know better than anybody at your company that departments are running as thin as they can. In fact, because they themselves are often overworked and under-resourced, it’s no surprise they’re likely to choose to work with the benefits broker who provides them with the most “free” resources and access to administrative support, not to mention choosing the richest health plan they can get away with — without regard to long-term cost-saving strategies. This is in stark contrast to the motivations of your person, or perhaps it’s an entire department, assigned with sourcing your manufacturing firm’s raw materials. Those people know they are responsible for a piece of the P&L because what they source the materials for and what they sell the material for will impact your company’s profit margins. They understand this responsibility and make business decisions based on it. It is your responsibility as the CFO to reign in the healthcare supply chain as the continually rising, top-three expense that it is. Fortunately, there’s plenty of room for savings in the healthcare supply chain. Healthcare consulting firm and independent actuary, Milliman, has studied how employers spend money under any form of benefit plan. What they found was, 20 percent of the plan cost is a fixed expense, such as plan administration fees. The other 80 percent is variable. It changes depending on what you are buying with health insurance, what kind of procedures and claims you are accumulating. 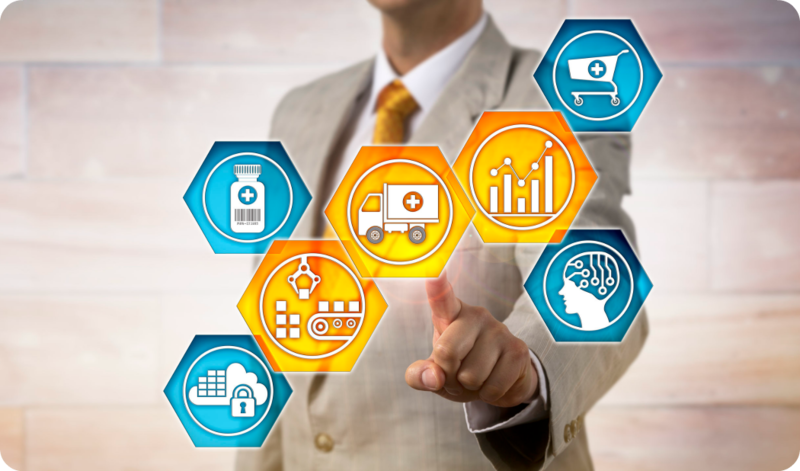 The good news is, by deploying the principles of supply chain management you already employ in all other areas of your business, you can work hand-in-hand with HR to control those 80 percent of variable healthcare costs in the healthcare supply chain.